It's giveaway time again! This time the prizes are kindly sponsored by Face of Australia. Their products are phenomenal for their prices and I promise to be less slack and write some more reviews on their products soon. 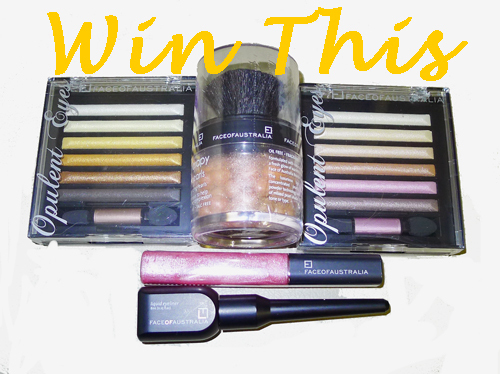 Now today's giveaway are some of my favourite products from the brand that I reach for often. There are three prizes - a first prize and two runners up prizes. If you want to see swatches of the Opulent Eye palettes, head this way. 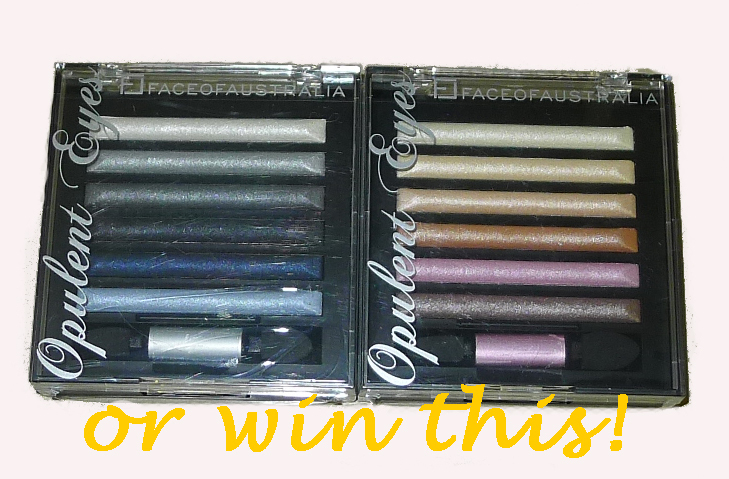 Two runner up winners will each receive an Opulent Eyes palette in either Endless Nights or Diamonds & Pearls. 4. Comment below to let me know you are entering this competition and how many ways you're entering. The competition will run for 2 weeks until 13th October 23:59 AEST and is open to all readers, including international readers. I'll be selecting the winners randomly via a random number generator to pick out the 3 winners and announcing it on this blog by 16th October. wow i so love the Diamonds & Pearls eye pallette .. it was all sold out @ priceline since it was a limited edition .. i am a follower already via GFC n twitter ... n will tweet too .. I would love to try this brand!! Wow! What a great giveaway :-) lo 3 timesve all the prizes! Hi, I follow your blog, twitter (nsquare_n2s), tweeted about the giveaway. Woo, I love FoA! I'm following you via GFC as Lauren aka The Shoe Addict. Thank you for the giveaway, I love FOA! 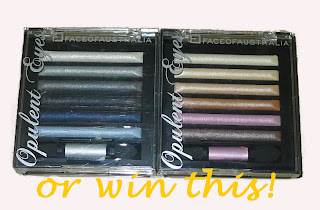 Woohoo Id love to win the eyeshadows! Great giveaway, I'd love to try FOA products since these are not available in Asia :) It's my bd on Oct 14 so if I win it'll make my day! Hi, these products look great! I've only tried a few of FOA's prducts but what I have tried I love! I am following via GFC, and on Twitter (@kimmmyberley), I also tweeted about this giveaway! Thankyou! and twittered about the giveaway. I follow you via Google Connect, I follow you on Twitter (@katy_potaty), and I tweeted about this too! Thank you for such amazing giveaway. Hopefully these 3 entries can make me a lucky winner as I've never tried FOA before! !